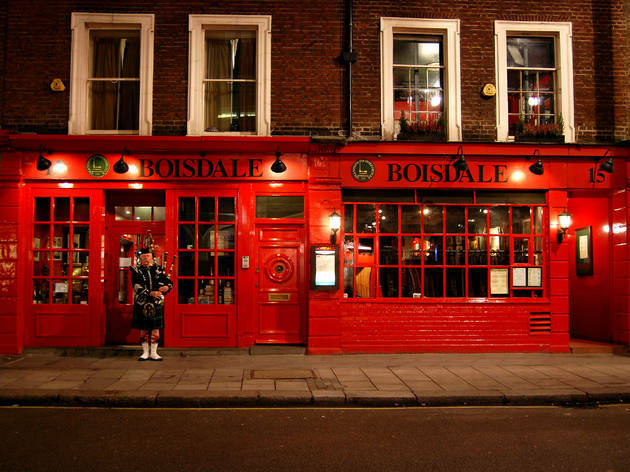 Join us for Jazz, chocolates & whiskey tasting in a private room at Boisdale of Bishopsgate. 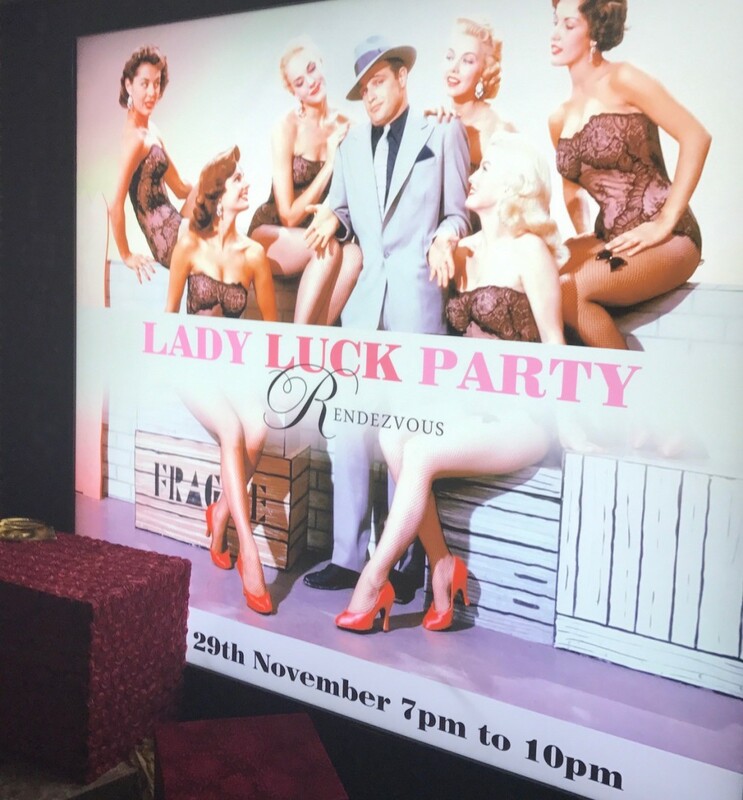 For the run up to our Lady Luck Party at Hippodrome Casino on 29th November, I’ve never known a party of ours to generate such an avalanche of interest. The inbox heaved, the texts piled up and the phone was off the hook with excitement at so many real live calls. Just like the old days. As I fielded all the excited enquiries, filled up the guest list and managed all the plus ones I was struck by what an amazing network of fun-free-single-and-up-for-its we have built up. You brave souls who are ready to jump out of your comfort zone and present your fun-faces to the world, albeit a carefully crafted world where friendship and pleasure are almost guaranteed – with a warm welcome and a generous glass of fizzy confidence just to ease you in. Beats those dating apps swipes hands down. And hands down (jokers wild!) was the name of the game as we braved the Leicester Square crowds and forced our way through to our own private entrance at the Hippodrome Casino. With super slick staff from cloak room to bar, the casino is one confident operation and suddenly there we were with a high rolling luxury game room all to ourselves. Gaming expert Steve took to the floor to tell us how the dice would roll and the tables turn. Craps and Roulette just like Vegas –we’d all get a go and the person with the most chips would win a bottle of Moet. Count me in mister cool-cut croupier! No wallflowers and no pussyfooting; everyone was straight on it. This was a room full of winners just itching to try their luck. Gaming tables are a great way to meet people – rubbing shoulders, playing your cards right, trying your luck, one last desperate throw of the dice – all neat metaphors for the mating game (OK, no-one looked desperate). And with our own private bar – open all night – what could possible go wrong? And canapés darling, endless delicious canapés – tuna tartare, mini burgers, goat’s cheese lollipops and mini doughnuts …. body is a temple Sweetie. There was a queue to have Christina read tarot cards. She was non-stop for 3 hours. Everyone coming away saying how on earth would she know that about me? Isn’t she a gorgeous person; I just want to scoop her up and give her a hug and that was before she claimed my next husband was going to be a gorgeous George look-a-like…joking! Things got rather competitive at the craps tables. A property developer (he’s got to be good with numbers right) playing to win and a pretty statistician calmly cleaning up in her corner. It was maximum fun. F-U-N. How does all that fit into three letters! The property guy won the champagne and in the generous spirit of the party, shared it out amongst guests….what a classy winner. Thank you so much Hippodrome’s Amy and Anna. Gaming experts Steve and Sara. Psychic Christina McCulloch and our stand-in guest list crew Simon and Jo. Thank you so much for such a great evening last week. I honestly think it was Rendezvous’ most successful event that I have attended. Thank you for organising such a wonderful casino evening .. it was great fun and met some very interesting people. Just wanted to say thanks for great eve! Such a good social event with fun company. Look forward to next event!! Just a quick email to say thank you for organising a wonderful evening. Thoroughly enjoyed learning how to play craps! See you soon. I enjoyed it – thank you for including me! Thank you for hosting the very enjoyable evening at the Hippodrome Casino. As always it was a great atmosphere and everyone was so friendly and easy to talk to. I got totally absorbed in gambling at the roulette table. The croupier was helpful and happy to patiently explain to the novices how to play and to guide some of the more over enthusiastic ‘experts’! Delicious food and free flowing fizzy, all contributed to a great evening. It was certainly somewhere I’d never been to before, what a huge building! it was fascinating to visit the public casino area later see all those guys transfixed at the tables and at the computer screens….another world! Tues. 29th Nov. 7pm – 10pm. Have you ever wanted to be part of the buzz, thrill and glamour of a Casino but always been a bit terrified at what you’re supposed to do once you get there? Or are you a seasoned Gambler, think James Caan in 1974’s The Gambler. His cool but seedy character Axel Freed couldn’t help being the star of the show. He gambled and drank too much… but still got the girl….Remember Lauren Hutton in all her 1970s hot-stuff glory. Whichever part you want to play….The Show-Off or The Learn-Some-New-Stuff….we’ve got the perfect party back drop for you. We have our private room until 10pm at which time you’re free to take your new casino-confidence skills and head into the main casino. Scaredy-cat who? Bring a friend or a group of friends and join us for a night to remember. Ticket price includes; welcome glass of bubbles, canapes, a private room (and private entrance) Roulette & Dice tutorials and team games….and a Tarot card reader! 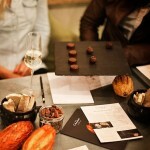 Our Rendezvous at Hotel Chocolat on October 11th proved to be pure genius on every level. Nestling in the heart of buzzy Covent Garden, Hotel Chocolat is an absolute gem of a venue. We were provided with a great room to entertain our guests and what a guest list it was! 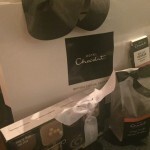 We were looked after in the most perfect style by Hotel Chocolat’s truly wonderful staff, who helped create a delicious ambience that set us up for a splendid night. 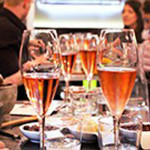 Sipping on prosecco from the moment we arrived, we were soon supping on stunning canapés provided by the kings of cocoa cuisine, the chefs at Rabot 1745, a charmingly eccentric restaurant overlooking bustling Borough Market. The restaurant is named after the Rabot cocoa estate founded on St. Lucia in 1745 and we were delighted to discover just how amazingly versatile an ingredient chocolate can be. We sampled red onion marmalade and cacao goats curd tartlet (mmm), glazed Welsh rarebit and spinach & nib butter on a toasted English muffin (this is making me hungry again), Scottish lobster & brioche with white chocolate mayonnaise (OK, enough), roast beef, mini Yorkshire pudding, spiced chocolate sauce (stop it!) and warm chocolate brownie and salted caramel ganache (sorry). All the thanks should go to you for organizing such a vibrant gathering of like-minded souls having fun, joining in with the spirit of the occasion and making the most of introductions to new friends. From the winner of the dinner for two at Rabot 1745…..
Oh goodness, I never usually win anything!! Thank you so much for a fantastic evening. It was an unusual and quirky venue but it worked very well. The staff were delightful and very welcoming. I really enjoyed it and had great fun meeting some extremely interesting lively people. There was a lovely relaxed, convivial atmosphere which all contributed to a great party! Looking forward to the next one…. Thank you for inviting me to your party last night. I had a very enjoyable evening. Now looking forward to the next one. It was way more enjoyable than I expected and much easier to mingle than I thought it would be. Being married for so long makes it difficult to meet women as a single person. The venue was splendid – intimate too rather than bright lights. Its not often I meet two people at the same time who like foreign films – mostly all I ever get is ‘I hate subtitles’! I would like to say thank you. I really enjoyed myself, I wasn’t sure what to expect and was looking forward to trying out something new. I had great fun and hope to see you soon. Hotel Chocolat is certainly a wonderful venue. Just wanted to ‘thank you’ again for a nice evening and great location. I am grateful that you have invited me to become a part of the Rendezvous. I enjoyed the event thoroughly, with great conversations and effortless connectivity in the room, making it intimate and sweet – regardless the chocolate. Just a brief note to say thank you for being so welcoming tonight and making it all so very easy and comfortable. I had a lovely evening. It was so good to meet you all at the FOLD on Wednesday night, and thank you for taking that first tentative step into what might seem like Lala-land. It occurred to me that a little postscript might be useful, by way of continuing along together on this bonkers but enticing merry-go-round of contemporary art. In retrospect, I wonder whether I should have illustrated my idea of the art world’s six-point star by pulling a number of you out from the crowd and arranging you in formation. Not only would I have relished the opportunity to take the heat off myself, we could have all participated in a little performance art, and briefly embodied the role of critic, art historian or collector. Indeed, we might have located an artist amongst you, and manoeuvred you into its centre. There I would have asked you to imagine how you would remain true to yourself, with all these very important people around you that you needed to please. On that evening we were surrounded by Kes Richardson’s “Lilliputian” canvases: large scale works that amplify every one of his favourite gestures in studio. This crucial insight into the work that Kim afforded us in his speech is the “why” the works seemed to work so well from a distance but defied logic from close up. He was expanding the unknown. Kim Savage’s exciting project gallery gives artists like Kes the chance to realise their vision, and as a consequence consistently wins the critic’s choice. All his artists benefit from the much needed critical appraisal along with this wonderful experimental space to explore and push their own boundaries. If any of you manage to get a copy of Sarah Thornton’s book Seven Days in the Art World you might begin to find that in the course of her art appreciation “journey,” she had learned that art should not “just please the eye” but “rip open your mindset.” I think this is where we need to start if we want to get our heads around the world of contemporary art. Since the advent of the camera – which issued the era of Modern Art – contemporary art has often sought to penetrate beyond the veil, and can often seem anti-retinal. What is especially exciting about this era now (which is post YBA stunts like Hirst’s shark and Emin’s unmade bed) is that we are beyond the shock of the new. Artists today have to be able to show they have skill combined with great concepts. The evidence has to be in the work, there for us to discover. This is also the era of networkism – where all of us are connected to something all of the time. Taking time out to look at and try to understand art is a fantastic way of detoxing from the constant stream of peripheral messaging. If any of you would like a tour of Saatchi Start Art fair starting this Wednesday please do not hesitate to contact myself or Kim Savage.